January 12, 2017 3:41 pm. THE Karaka Million is New Zealand’s richest race with a stake of $1 million and only two-year-olds purchased from the Karaka Horse Sales are eligible. First run in 2008 at Ellerslie, the Karaka Million has increased in popularity with trainers, owners and punters – especially with Australian-based connections. The title has gone to Australian trainers on three occasions with Sister Havana, Ockham’s Razor and Hardline. The Karaka Million is so popular that trainers from around Australasia are buying horses specifically for the late January feature. Betting on the Karaka Million is available throughout the summer months as the final field starts to take shape. Online bookmaker BetEasy has Whiskey Neat as the $2.60 favourite for the Karaka Million 2YO. Probabeel ($3.60) is on the second line of betting. In the 3YO Classic star prospect Madison County is the $2.60 favourite at online bookmaker Sportsbet. Travelling Aussie runner Long Leaf is at the $9.50 quote. All of our Australian-based bookmakers offer betting on the Karaka Million in New Zealand. 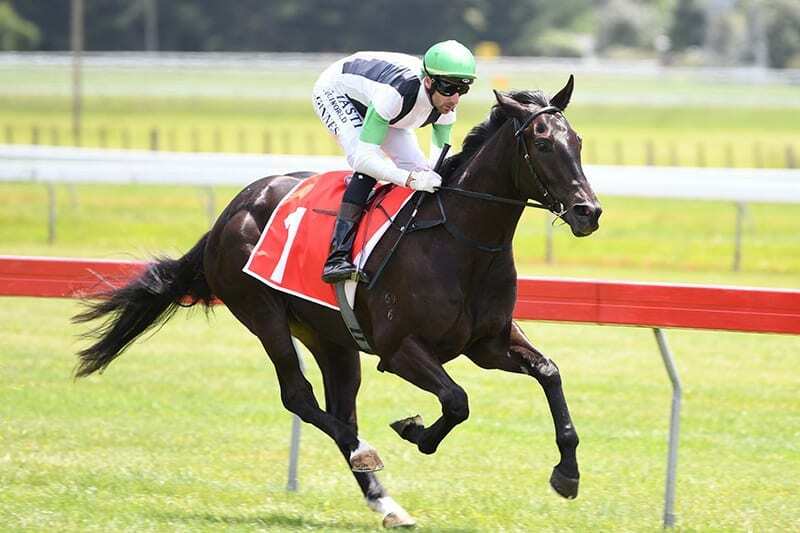 Being a race which attracts attention on both sides of the Tasman, the bookmakers know how important it is to frame early markets for the Ellerslie feature. All-in betting is available in the months leading up to the race and final field betting will be available during the week of the race. 2019: Probabeel was a pre-race favourite heading into the 2019 2YO, but a wide draw saw the horse drift out longer than she probably should have. Settling towards the rear of the field, another Opie Bosson peach saw the filly in the mix when the whips were cracking and ultimately saw her stream away to record a comfortable win. 2018: Avantage took out the 2018 Karaka Million in stylish fashion. Under a great ride from Opie Bosson the $3 favourite hit the front at the 100m ahead of long-time leader Bocce to record the win coming away. Al Hasa ran into second and the leader into the straight Bocce clung on for third. 2017: Melody Belle caused an upset in 2017 when winning at odds of $32.40. The Te Akau-raced filly was a winner of only one race from three starts leading into the feature, but after a gun ride from jockey Opie Bosson, the daughter of Commands kicked strongly at the top of the straight and quickly established a big break on the field. The well-favoured Hasahalo closed strongly with Blake Shinn in the saddle, but it wasn’t enough as Melody Belle was clear in front. Read full report. 2016: Xiong Feng scored its biggest career win in 2016 when winning the Karaka Million. The McKee/Chippendale-trained gelding had good form prior to the race, but paid $11.90 for the win and $2.80 for the place. The son of Iffraaj was ridden by Danielle Johnson and although it didn’t perform on the big stage since that win, it has since been transferred to Singapore where the owners are based. 2015: Liam Birchley loves targetting the Karaka Million and he scored the riches in 2015 with Hardline. The two-year-old by Showcasing was respected in the betting at $7.80 after showing solid form in Australia, which was good enough to win the feature. It defeated the likes of recent Australian winner Dal Cielo and top New Zealand runner Selfie, in what proved to be a good form guide. 2014: The rain caused havoc at Ellerslie in 2014 where Vespa motored through the conditions. The Johno Brenner-trained colt relished the wet track and pulled away for a 1.5-length victory over recent Group one winner Riding Shotgun and stablemate O’Marilyn. Vespa started as the $4.10 favourite and it has since started a stud career with Wellfield Lodge. 2013: Ruud Awakening scored one of the more impressive Karaka Million wins in 2013. The two-year-old filly by Bernardini had scintillating form leading into the race and punters didn’t miss a beat. It paid $1.90 with bookmakers and it was never in doubt as it scampered away for a three-length victory. Champion Australia jockey Craig Williams was in the saddle for the second consecutive year after he saluted with Ockham’s Razor in 2012. 2012: Ockham’s Razor didn’t have fantastic form in Australia before coming to New Zealand, but it proved too good for a moderate Karaka Million field. The Anthony Freedman-trained grey by Any Suggestion was well-supported in the market at $6.40 and with the aid of a quality Craig Williams ride, the two-year-old was able to put a half-length on Silk Pins and Warhorse.